The first step in making your own CCTV cables is stripping the wire, and the second step is crimping the BNC connector. 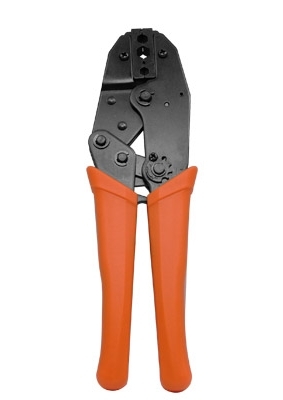 This professional RG59 / RG6 Coax Wire Crimp Tool is made just for that step. It is commonly used in the CCTV industry to crimp RG59 Siamese Cable, and is great for use with our 3 piece BNC crimp connectors. It also allows you to crimp the following types of connectors: F, TNC, and N.